Xenxo S Ring wants to help make your life simpler by reducing the number of accessories you carry. Just launched on Kickstarter, it allows you to attend calls on the go, store important files and much, much more. The ambitious wearable has no less than twelve features packed into its tiny 2.6mm x 10mm x 13mm (L x W x H) frame. The technology that allows for its multiple functions includes 4GB of internal storage, a powerful microcomputer with more than 94 micro-components, 4 sensors and a 32-bit controller. 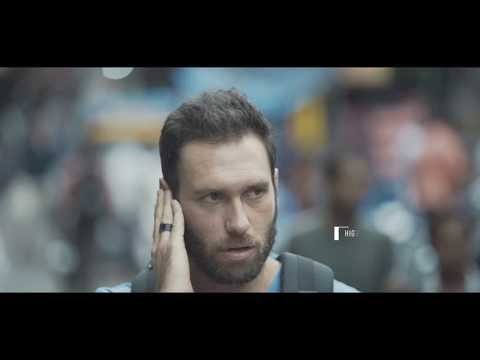 First off, the ring lets you answer calls thanks to bluetooth connectivity, a built-in high definition earpiece and microphone. With your cellular device tucked safely away in your pocket or bag, you can now use a smart ring to answer those all important calls. The wearable can also be used for confidential file storage, Google and Siri connectivity, gesture control, as a silent alarm, to make NFC payments on the go, as a Bluetooth Key, it reminds you if you forget your phone, allows you to send SOS alerts and more. An impressive list, most will agree. Finally, Xenxo is equipped with an accelerometer so can function as a pedometer providing you with a daily step and distance count. Indistinguishable from regular jewellery in looks, smart rings are gradually edging their way into the mainstream. This is by no means the first intelligent ring but its definitely the most feature packed. And it has intrigued the crowding community. With 22 days to go, the campaign to make Xenxo S Ring a reality has raised five times its $25,000 goal. If all goes well, the ring will ship to backers in November. All the usual warnings about crowdfunded projects apply. how and where do i buy this? I need one but I’m in Ghana can you ship it here?